• Alert severe weather & Rain alarm. 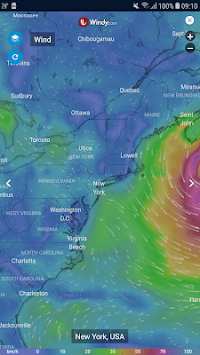 Hour by hour weather forecasts, 7 days forecasts are included. A detailed world view is also offered. 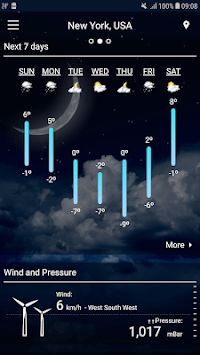 We also offer weather widgets with backgrounds, which you can scale according to your own preference. 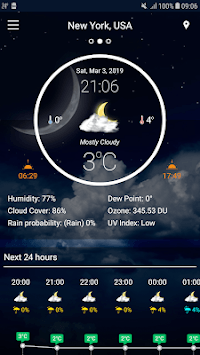 The perfect weather widget for android smartphones! As soon as the app is launched, it shows the current weather in your location together with a radar image and weather forecasts. You can immediately see whether it is rainy, stormy or sunny outside. Swiping the screen you can see the weather forecast for the hours and days ahead. Thanks to the user-friendly search function, you can easily find any location worldwide and add it to your Favourites (My Locations). This feature shows you the weather in multiple locations at one glance. Clicking on the radar menu item to show Full Radar Screen.